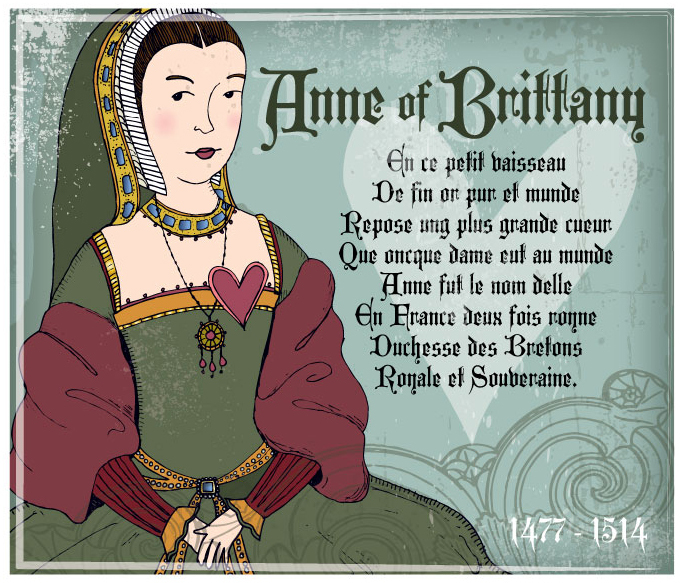 Anne of Brittany led a very sad life (can’t imagine life was pleasant for any female in the 16th century)… she gave birth 14 times, but only 2 survived childhood. She died of a kidney stone attack at the Chateau of Blois in the winter of 1514. They mourned the queen for 40 days (inspiring all future French royal funerals until the 18th century) and per her will- Anne’s heart was placed in a raised enamel gold reliquary. It is currently in the Dobrée Museum in Nantes. Although she had many admirable qualities as a patron of the arts and Queen… I find the fact that she wore white to her 3rd wedding the most impressive.